If you have a settling concrete slab, the soil underneath the concrete has settled and needs filling. Regardless of what is causing your concrete settlement, we can lift and level sunken concrete slabs back to the desired height. We Level Concrete and Underseal Concrete to Fill Voids and STOP settling. We UNDERSEAL and LEVEL Highways, Bridge Approaches, Sidewalks, Waterfalls, Runways, Taxiways, Garage Floors, Warehouse Floors, Industrial Floors, Loading Docks, Basement Floors, Patios, Court Yards, Planters, Stone Walls, AC Pads, Pool Decks, Schools, Pools, Concrete Slabs, Asphalt, and Sun Rooms. We use GPR (Ground Penetrating Radar) to quickly, safely, and accurately locate subsurface voids. In addition to being used for slab lifting purposes, Ground Penetrating Radar can be used in landfills, streets, parking lots, cemeteries, bridges, and more. Because we are committed to customer satisfaction and quality service, we are proud members of the Home Builders Association and the Better Business Bureau. 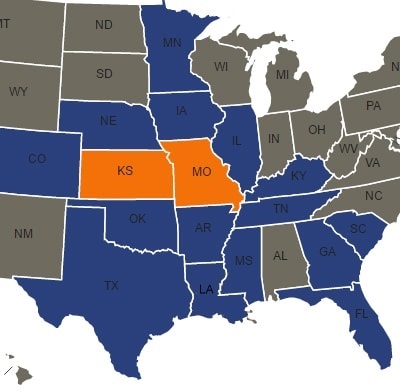 Our residential service area includes Missouri and Kansas. For commercial concrete leveling, we serve the following areas: Arkansas, Colorado, Florida, Georgia, Illinois, Iowa, Kansas, Kentucky, Louisiana, Minnesota, Mississippi, Missouri, Nebraska, Oklahoma, Tennessee, Texas, and South Carolina. 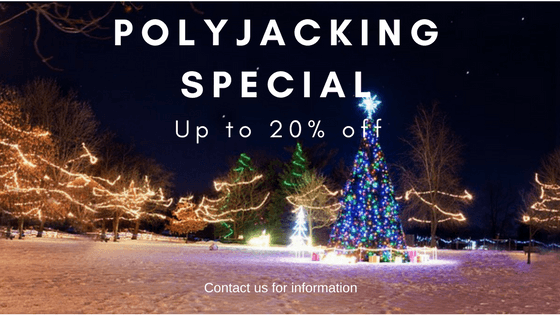 For professional concrete service, contact Polyjacking.com today!